A wonderful guide from Michigan State University on the required components of a citation to a data set and the formats under several citation styles for citing data sets. Article proposes a universal standard for citing quantitative data that retains the advantages of print citations, adds other components made possible by, and needed due to, the digital form and systematic nature of quantitative data sets, and is consistent with most existing subfield-specific approaches. Information from the UF Libraries on data management planning, including the development of data management plans, supporting long term preservation needs, improving data discoverability, and meeting UF security and privacy requirements. Written by the University of Michigan Copyright Office, a wonderful explanation of the copyright status of data presented in chart, table or graph form. The Panton Principles are a set of recommendations that address how best to make published data from scientific studies available for re-use. In this context, “published” means “made public” and is not restricted to formal publication in the scholarly literature. From the University of Oregon, a thorough and informative explanation of the considerations that should be made before sharing research data and an explanation of the options available to researchers, including Creative Commons licensing, for licensing data sets for use by others. In this well written law review article, the author explores the arguments that have been made for the copyrightability of raw data and presents problems that would result from allowing raw data to be copyrighted. Is data copyrighted? Copyright law does not apply to facts, data, or ideas. In no case does copyright protection for an original work of authorship extend to any idea, procedure, process, system, method of operation, concept, principle, or discovery, regardless of the form in which it is described, explained, illustrated, or embodied in such work. However, copyright may protect a collection of data as contained in a database or compilation, but only if it meets certain requirements. Simply working really hard to gather the data – what the Supreme Court called the “sweat of the brow” doctrine – is not enough. In order for a database to qualify for copyright protection, the author has to make choices about the selection, coordination, or arrangement of the facts or data, and those choices must be at least a little bit creative. It is important to remember that even if a database or compilation is arranged with sufficient originality to qualify for copyright protection, the facts and data within that database are still in the public domain. Anyone can take those facts and reuse or republish them, as long as that person arranges them in a new way. Unless they are accessible only under a contract that conditions access on limiting how the facts and data may or may not be used; any such contract would control. Who owns the data? Although graduate students, postdoctoral fellows, or even some faculty in academia performing research may believe that they own the data collected, they may actually not. As employees of the University, they are working for hire for the University, and as such, the University may own the rights to the data. See the UF Intellectual Property Policy for more information. Under the Bayh-Dole Act of 1980, in federally sponsored research, the University owns the data but allows the principal investigator on the grant to be the steward of the data. The PI takes responsibility for the collection, recording, storage, retention, and disposal of data. When data are published, the copyright is retained by the PI, who may then assign it to the publisher of the research. Had the faculty member undertaken a research project on behalf of the University, the University would have the copyright to the data. Data and data books collected by undergraduates, graduates, and postdoctoral fellows on a research project belong to the grantee institution, and students should not take their data when they leave without making appropriate arrangements. Retaining copies of data is allowed with permission, and although this is not always done, it is certainly good practice. Can data be shared with others? In order to facilitate the reuse of data, it is important that others know the terms on which you are making both the database and the data content available.The Open Data Commons (ODC) group has created three standard licenses that can be used in conjunction with data projects. In addition, it is possible to articulate a set of “community norms” that complement the use of formal licenses. Creative Commons also has a library of standardized licenses, and some of them can be applied to data and databases. The ODC-By license, for example, is the equivalent of a Creative Commons Attribution license (CC BY). CC BY licenses, however, are based on copyright ownership of the underlying work, whereas the ODC-By license can apply to works that are not protected by copyright (such as factual data). CC0: When an owner wishes to waive her copyright and/or database rights, the CC0 mark can be used. 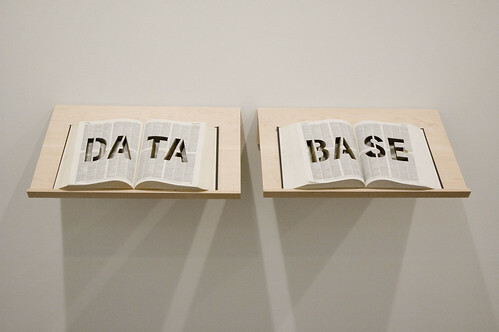 It effectively places the database and data into the public domain. It is the functional equivalent of an ODC PDDL license. Federal agencies such as the National Institute of Health and the National Science Foundation have specific requirements about data sharing. If collecting data as part of a federally funded research project, please be sure to check the policies of the funding agency. What about privacy? Just because data is not protected by copyright, does not mean there are no other legal considerations for the collection and dissemination of data. Privacy is also an important legal consideration. Research in a wide range of fields may include information about individuals that is protected either by federal privacy legislation, state privacy laws, or by commitments made by the researchers. Even attempts to anonymize data before sharing it do not ensure that individual research subjects will not be identifiable. As a result, it is best to follow rules adopted by the University or funding agency or the best practices set forth in your discipline. This short video was produced by the Federation of Earth Science Information Partners (or ESIP Federation's). It contains great general information, however, for researchers and students in any field of study who are concerned with copyright issues related to data and data management.